Upgrade to HOLD from SELL as the worst appears over, but FY19E earnings growth vs FY18 may be limited. HI-P INTERNATIONAL LIMITED (SGX:H17)'s FY18 core PATMI exceeded our estimate by 26% (Consensus N.M.). Although 4Q18 core PATMI of SGD38.7m fell 35.2% y-o-y, it rose 14.4% q-o-q due to stronger-than-expected volumes and margins. We raise FY19-20E earnings by 59-67% to reflect stronger volumes, driven by new and existing customers and higher profit margins. Our ROE-g/COE-g Target Price is raised by 79% to SGD1.22, based on 1.5x P/B from 0.8x previously to reflect a higher FY19-21E average ROE assumption of 14.8% vs. 9.0% previously. Hi-P's 4Q18 revenue fell 10% y-o-y due to weaker pricing and volumes. 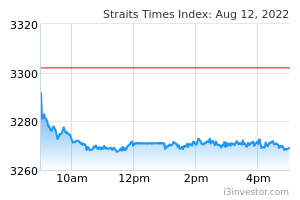 Still, it surpassed traditionally stronger 3Q by 17% q-o-q. Management attributed the sequential growth to firm execution across the board, such as strong efforts to gain volume, increased operating efficiency, and excellent response to challenges. For example, Hi-P gained market share for a particular project as it was the fastest to troubleshoot operational difficulties that both it and competitors faced. Management expects the challenging operational and pricing environment to persist in FY19E. That said, it believes the worst of pricing pressures are over and hinted FY18 gross margin is a realistic reference of what it hopes to achieve in FY19E. Hi-P's response to present macro uncertainties amid the trade war is by aggressively fighting for more projects and increasing allocation with customers. As such, it has expressed confidence in delivering FY19E revenue and sales that are similar y-o-y. Hi-P expects 1Q19E net profit to be lower y-o-y despite flattish revenues. We believe this is because pricing dynamics were healthier in 1Q18. If the business environment remains strong for Hi-P in 2H19, which we expect will account for 70-80% of FY19E earnings, there could be upside to our estimate. and slightly lower SGA as % of sales to factor in cost-control efforts. Our ROE-g/COE-g Target Price of SGD1.22 is based on 1.5x P/B, in turn based on FY19-21E ROE of 14.8%, COE of 10.3% and LTG of 2%. Hi-P was able to overcome weak market demand for its key wireless customer’s smartphones by increasing allocation, due to strong execution. In FY19E, Hi-P sees growth potential from smartwatch and wearables products, where it has secured projects. Meanwhile, Hi-P also expects consumer electronics contributions from customers such as P&G and Keurig to grow. 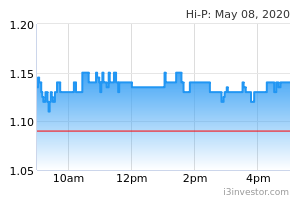 Hi-P announced final DPS of SGD0.04, bringing full-year DPS to SGD0.05. This translates to a pay-out ratio of 40%. While final DPS was maintained, full-year DPS fell 80% y-o-y in absence of a special DPS of SGD0.19 paid in 2017. Capacity expansion in Thailand will be completed in 2Q19, and production for 1-2 new projects will begin in 2H19, and Hi-P is in conversations with several customers for more. We understand that 90% of Hi-P's customers are US based. Hi-P intends to diversify this by bringing in more European and/or Japanese customers. Hi-P also reiterated plans for M&A to access growth opportunities in automotive, medical and IoT ecosystems.